Why RSI from Arts & Crafts? RSI (repetitive strain injury) is the curse of knitters, sculptors, painters, artists and gardeners throughout the world. It can usually be traced to surface knots (myofascial trigger points) and micro tears that form on the forearm flexor/extensor muscles as a result of awkward limb posture, overloading or bending of the wrist and/or overuse of the hands & fingers. The injured muscles contract over time and stretch the connecting tendons, resulting in localised pain, inflammation, stiffness, tingling or numbness in the elbows, wrists or fingers. 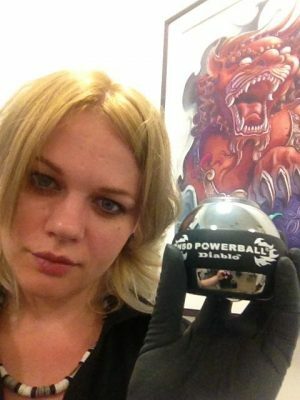 How does Powerball treat repetitive strain injuries? 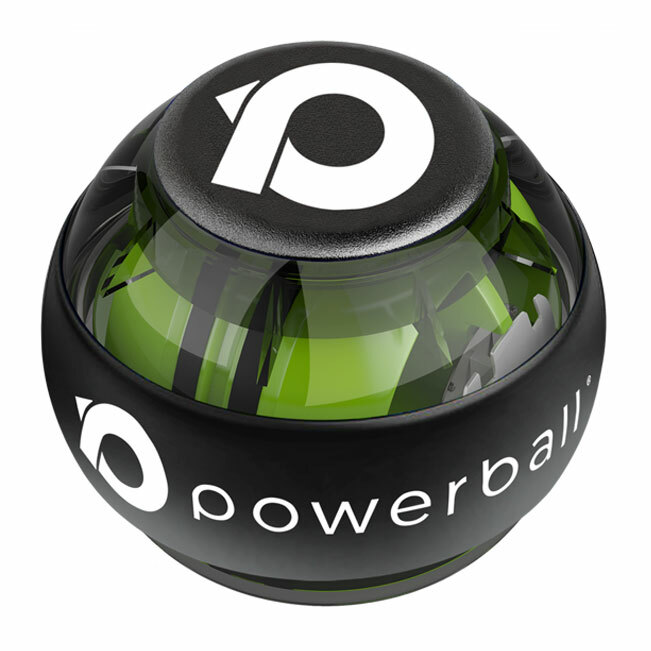 Powerball’s non-impact resistance is the perfect antidote to inflamed tendons, joints & muscles effected by RSI. 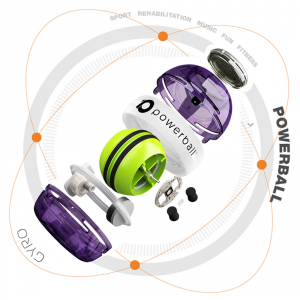 The unique isometric resistance generated by the spinning rotor quickly loosens and strengthens all of the major muscle groups within the upper limbs. 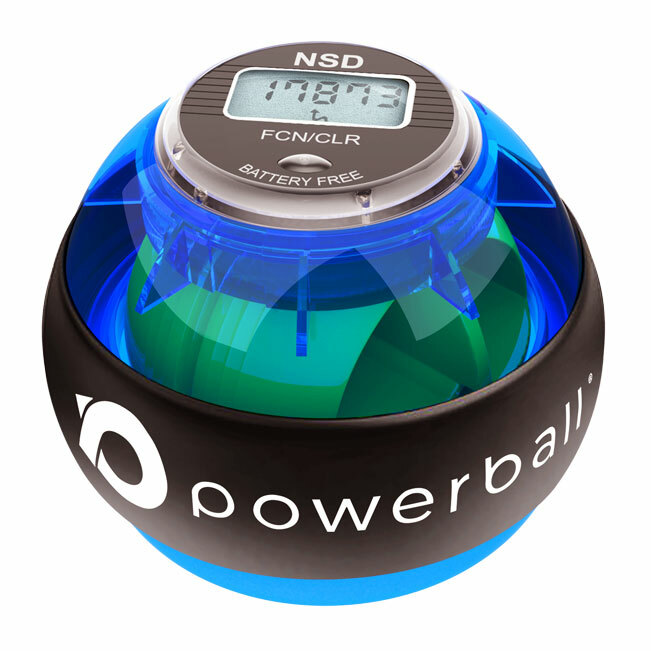 Using Powerball dramatically increases blood flow along the entire arm, bringing collagen-healing nutrients and oxygen to the damaged muscle and tendon tissue, while also stimulating synovial fluid production in the wrist, elbow and shoulder, helping to lubricate all joints and increase flexibility & mobility from finger tip to shoulder. What does the physical therapist say? 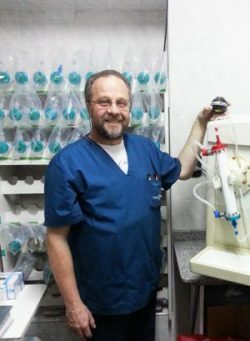 Colm Murphy is an IATB physical therapist, lecturer in anatomy, & professional tennis coach. Colm is an expert in rehabilitation, musculoskeletal anatomy & analysis and works closely with elite level athletes. 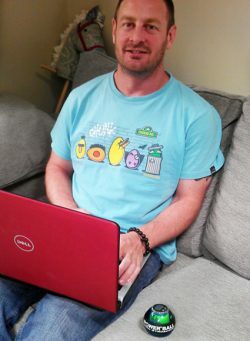 Colm designed our carpal tunnel rehabilitation & strengthening programmes. 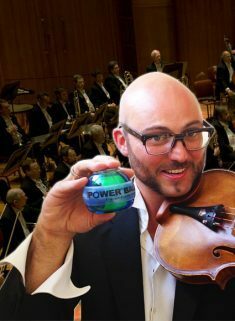 At Powerball we have physio designed programmes that can be found at the bottom of the page. Download our wrist programme here. 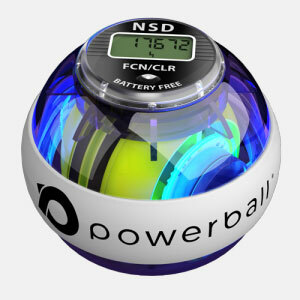 Powerball is the home of gyroscopic exercisers. 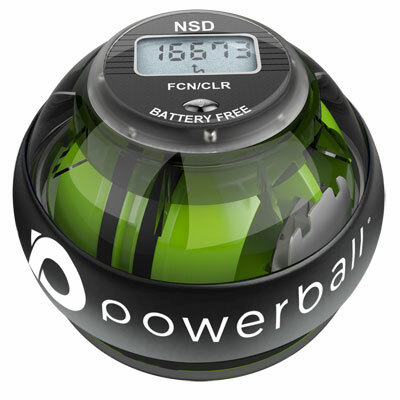 A Powerball has a rotor (green wheel) which spins on its axis creating resistance against the user. This resistance is created by the rotor as you turn your wrists, a process known as gyroscopic precision (feels like gravity working against you). The faster the rotor spins, the more resistance there is against the user. This resistance is purely isometric and is ideal for rehabilitation.